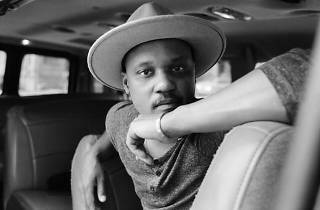 Smooth crooning Philadelphia singer-songwriter Son Little drops his second album, New Magic, on September 15. Exactly two weeks later, he’s celebrating the release in his hometown with a two-night performance at Boot & Saddle in South Philadelphia. Get ready to dance when he breaks out the lead single from the album, the infectious “Blue Magic (Waikiki).” It's new-school Philly sold at its finest.